What Is CheckoutSmart? Can This UK App Really Save You Money? 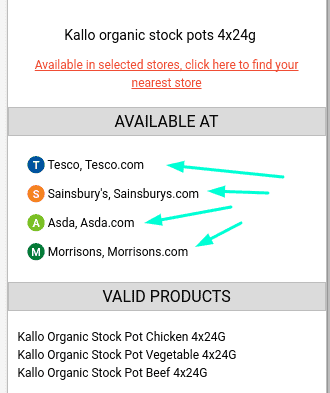 What is CheckoutSmart About – Can this UK app save you money? Who doesn’t want to save money on their supermarket shop? With the steep rise of the average UK shopping bill, many people are trying to cut costs in a variety of ways. But there are other ways to save aside from creating meal plans, buying own brands, or shopping at a budget supermarket. One way is by using cashback apps like CheckoutSmart; in order to make back some extra cash and even bag some freebies along the way! I haven’t had much experience with shopping apps in the UK, since an app called shopitize and that seemed to no longer be live at the time I took a look at it. So, it’s about time I took a look into some others and CheckoutSmart does appear to be much more promising overall. You can download it simply and quickly on via android or apple mobiles and it’s really quick to register via social media, I just signed up via my Facebook account. In my Checkoutsmart review; I will run over exactly how you use this app, what sort of money you can save and whether it’s worth your time! Stop Making Pocket Change? Learn To Make More! Every week, CheckoutSmart will feature a new variety of products that you can get cashback from after making a purchase. I was pleased to see that you can actually get some things with up to 100% cashback, making them entirely free! Who doesn’t like a freebie? You can see how CheckoutSmart works below, via their promotional video. You can get cashback offers for all the major supermarkets, including Asda, Tesco, Morrisons, Waitrose and Sainsbury’s – but that’s not all. There are a variety of other shops that you can earn cashback from as well. such as co-op, budgens, one-stop, WH smith and many others besides. Additionally, if you shop online, you still do not have to miss out here either. Many offers are also available when you purchase online. The only thing you need is your receipt, so just make sure you keep that safe if you do order online. You can even make use of this if you don’t have a mobile phone, or don’t want to download the app on to your phone. You can simply sign up directly via the CheckoutSmart website. You can check out which stores products are available by checking out the full infor for each offer. For example; see below that the product is available from. Can CheckoutSmart save you money? Sure it can, but you’ll want to be careful how you use it. But what if you normally buy a store-own brand that’s similar and that costs £1? Is it really worth spending an extra pound just to check out this product? There is a risk that some people will actually end up spending more money by using Apps like this. Because, some may be just lured in by the look of a brand and want to try it out. They may end up buying products they don’t actually need, just in order to get the cashback offer. Consider whether there is there a different brand that’s much cheaper, even after the cashback. The no-brainer here of course, is where the cashback is 100%!! In this case, you are getting something entirely for free, so there is nothing to lose. I also noticed another way you can boost savings and that’s when a supermarket ALSO has an offer on the product you’re getting. So, for example, I noticed that ASDA had a couple of pounds off a certain brand of Vodka. In addition to this, CheckoutSmart was also offering £2.50 cashback on this same Vodka. For me, this would have saved me more money than buying the store brand that I’d normally buy and therefore; it would save me money overall. I also get to try out another brand, that I may not normally buy and at no extra cost to me. – simply download the app via the app store or google play. – register quickly via Facebook, or your email address. – Browse the offers available and take not of any that interest you, (make sure you click on the offer to read the full T&Cs; for each offer. – Once you’ve made a purchase, hold on to your receipt. – Open the App, select “upload receipt,” choose the shop and day that you made your purchase and upload an image of your receipt. – Wait for your receipt to be verified and see your cashback appear in your account. – Make sure you claim your cashback within a week of purchasing, or it won’t be valid. How Do You Get Paid At CheckoutSmart? It can take up to a week before your cashback is verified. You will be able to cashout directly into your bank account, or via paypal. I was pleased to see there wasn’t any huge payout threshold here .. you can cashout from £1 for your initial withdrawal. After that, anything over £5 is OK and that’s reasonable. It’s worth taking into account there is a 5% fee for any withdrawal under £20. But in this case, I don’t see that it would take long at all to reach that threshold. Especially when you consider things like the freebie offers, (where you get 100% cashback) or the higher value offers. What Do Other People Say About CheckoutSmart? CheckoutSmart has some really positive reviews online and people seem to find it simple to use and an easy way to make some savings. Clearly these are really positive reviews, but I’d take some of them with a pinch of salt. For example; by taking a look at all the offers available, I think it would be unlikely that most people would save £5-£10 a shop. I guess it just depends whether the brands on offer are ones that appeal to you and whether the price, (after cashback) is competitive against similar products. That being said, there is certainly potential here to make some decent savings, so there is nothing to lose by checking it out. Is CheckoutSmart worth your time? I enjoyed using CheckoutSmart and I will be checking out what offers I can take advantage of from now on. I think it’s certainly worth checking out… not only because you may want to cut your shopping costs, but also just if you’re interested in trying other brands, (sometimes for free!). Do you have any experience using CheckoutSmart, or other related apps? Let me know in the comments below! Want To Make & Save Online? Saving money via online apps and cashback sites it a good thing, but what about if you could make money online as well? Earning money surrounding something that really interests you? Well, the good news is, you can do just that. If you’d like to learn how you could make money online doing something that you love, you can access some free training here. It’s not a quick fix like cashback, but it does have long term potential. How much have you saved with cashback apps? Let me know in the comments!